Speakers: Bryan Horling, Software Engineer, Personalized Search, Google, Inc. Recent updates to Google´s Personalized Search is impacting search results because people are seeing unique results based on their interests, search behavior and other social networks. 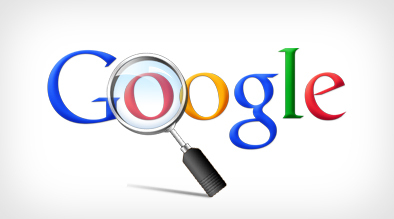 Google is customizing results for each individual in real time search. This new initiative is challenging traditional search engine optimization. We attended a great session today in SMX west 2010 on Real time search..
Search queries are frequently imprecise. Personalization can help fill in the gaps. It is not about just ranking high.. It is about ranking well for the likely users of your product and services..
Country and Regional Localization – Search engine displays results based on the user intend and location. Search Details – Logged in user can customize search preferences.. Web History – Typically, on the right hand corner, signed in user will see web history.. From the web history page, a user can remove the history or delete few iteams or filter out results.. Data is stored in the web history for signed in user until removed. Social also has huge impact on search. It surface content from your social circle. This is another way, results are personalized for user. If you have results from people you know verses people you do not, you are more likely to click on the people you know. Results served in social search will have a link to your social circle as well as your social content. Google says this movement works for the benefit of local businesses and brands. Businesses will be less likely to compete with the whole world, and more likely to compete with sites in your area. In conclusion, organic search result is changing to reflect an individual’s location and preference. With that in mind, websites should appeal to users and not just the search engines. Results will be measured by ranking well for the likely user of your service. Experts advise to create compelling and interesting content.